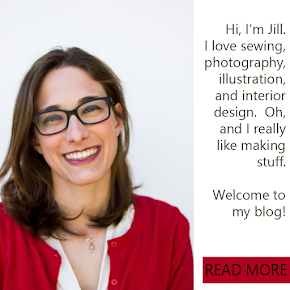 Do you ever feel like sometimes you are so focused on the big type of projects that you forget about the simple ones? I feel like this blanket is such a good example. I was thinking of all sorts of projects when I just decided that sometimes, simple is best. 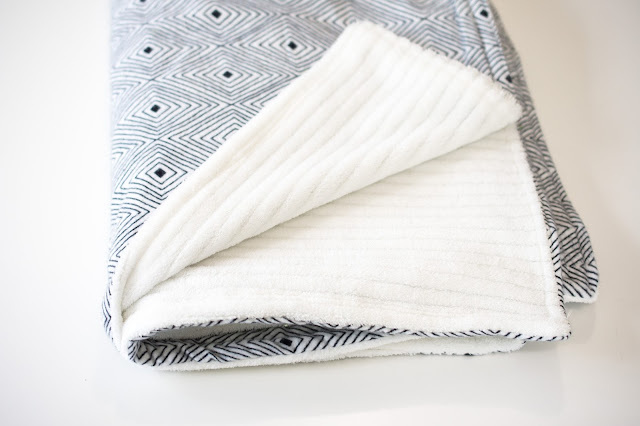 I love this flannel geometric design with the cozy white chenille backing. 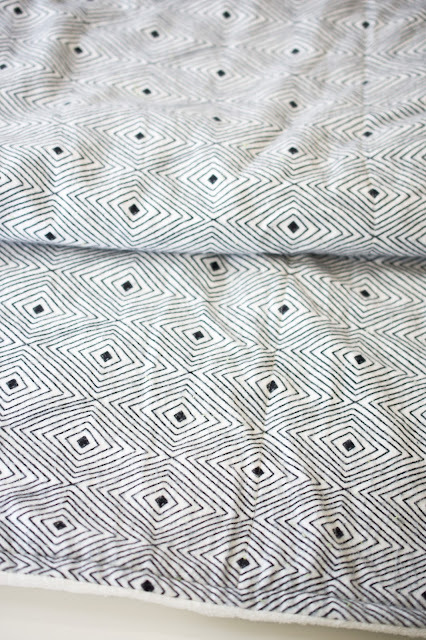 I was totally tempted to add some pom poms to the edges, but ultimately just decided to stay simple and modern. There are always so many fun designs in flannel! Lots of kids ones too, which makes this project really, really great for kids and babies. 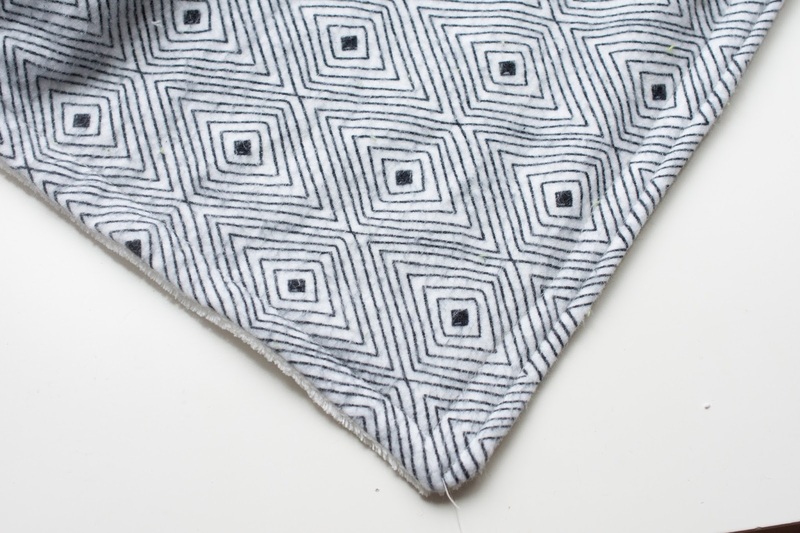 If you back your project in chenille like I did, you'll also have a super absorbent blanket, which is really great for baby spit ups too. Perhaps the best part about this blanket is how cozy it is though! As you can probably guess, there's not much of a tutorial for this project. It's almost too simple for a tutorial! I'll share all the details with you though! 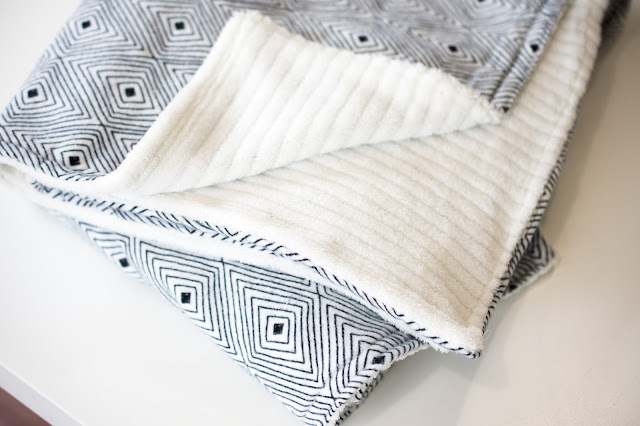 Do you want to make your own blanket? *Feel free to make your blanket larger or smaller. 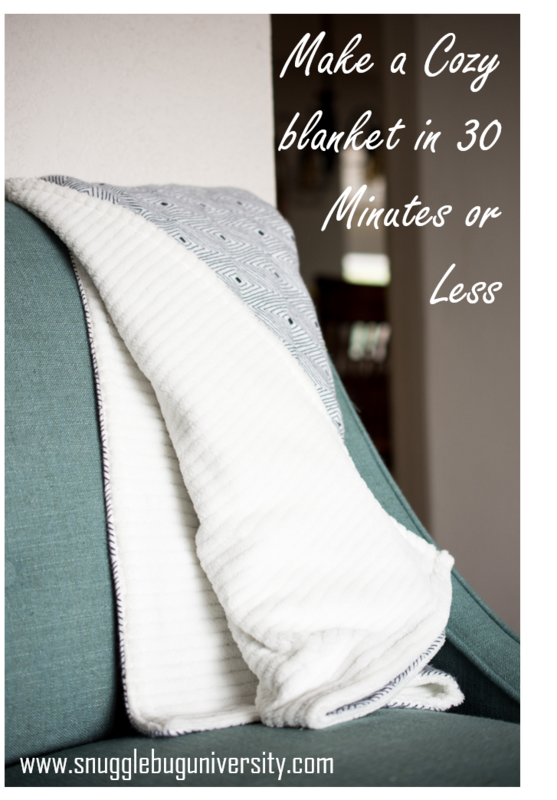 I think that 1 1/4 yards is a great blanket side for babies and young children. 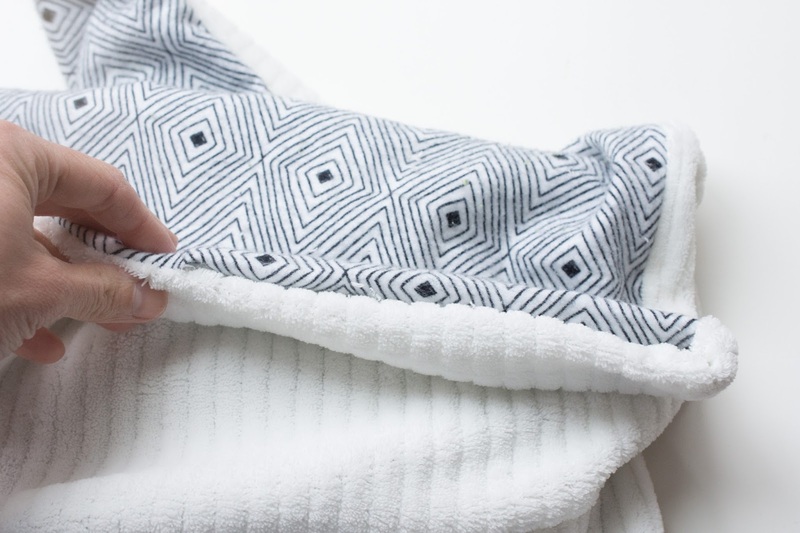 The first thing to do is to line up the edges of the fabric such that the right sides are facing each other. Sew all around the edges, leaving about 6-10 inches open. 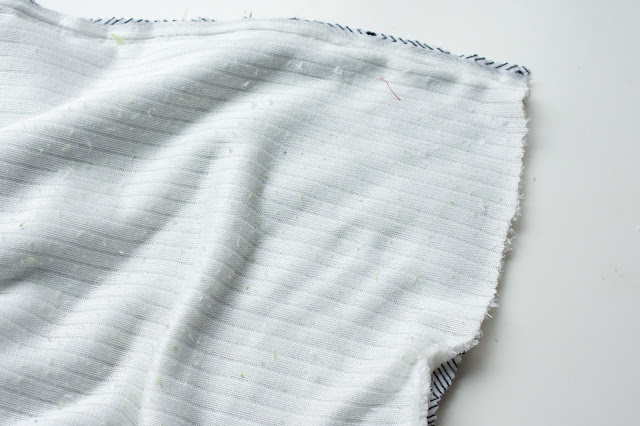 Turn right side out and then fold in the raw edges on the side that you left open. Topstich the opening closed, and then finish the rest of the blanket the same way for consistency. 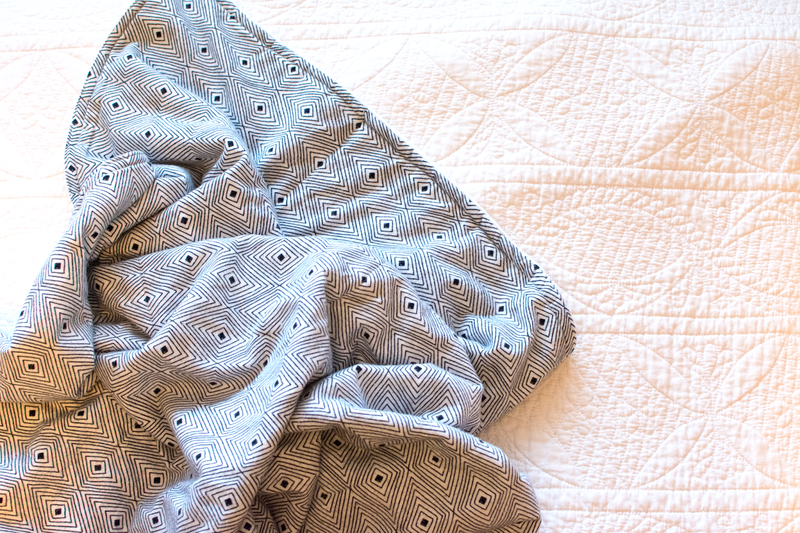 I divided sewed a few vertical lines (dividing the blanket into quarters) to help attach the front to the back. All finished! Wasn't that an easy one? Gorgeous! Where can I find that geometric flannel? Love it! Thanks Gretchen! I bought the fabric at JoAnn Fabrics. I believe it was a part of their snuggle flannel line.